Ms. Alexis J. Revelo graduated from University of California, Irvine with a Bachelor of Arts in Political Science. While in Orange County, Ms. Revelo volunteered for a reputable domestic violence shelter, where she discovered her passion for working with victims of domestic violence and children. A Bay Area native, Ms. Revelo returned for law school in 2013. 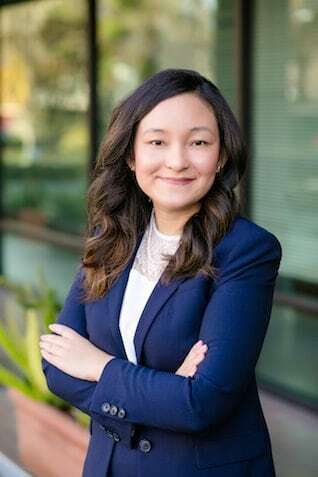 She received her Juris Doctorate from Santa Clara University School of Law in 2016. While there she was recognized for her public service work by receiving a Certificate in Public Interest and Social Justice. She also earned a place as the Senior Technical Editor of the Santa Clara Law Review by writing a legal comment on domestic violence and its effects on child custody. During law school, Ms. Revelo dedicated herself to helping her community and was a key participant in maintaining several school sponsored programs, such as serving as the Communications Chair of the Family Law Society and Co-Vice President of APALSA. Ms. Revelo was also a judicial intern for a judge in the Family Division at the Santa Clara Superior Court and she interned at two dependency nonprofit organizations where she gained experience in working with cases involving domestic violence and child custody and visitation. Ms. Revelo is fluent in Cantonese Chinese. Ms. Revelo joined Lonich Patton Ehrlich Policastri as a law clerk in 2015 and became an associate upon passing the California State Bar Exam. Upon joining the firm, Ms. Revelo quickly proved herself as an invaluable member of our team. She has advocated on behalf of our clients to resolve many difficult issues, including but not limited to matters involving domestic violence, property division, and child custody and visitation. In her free time, Ms. Revelo enjoys traveling, taking her dog for hikes at the beach, kayaking, and spending time with her family.